3. we do compatible coffee capsule for nespresso machines, different flavours with different colors package. 7. could work in all nespresso machines and been tested, high compatible 8. brand new PP grade material made. We can provide free high quality service on-line, we also can provide door to door service, this is paid service. 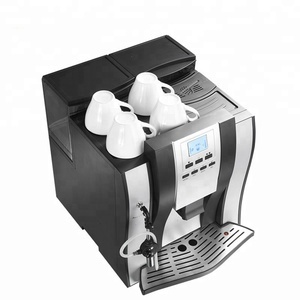 coin operated nespresso coffee capsules dispenser F613 type automatic coin-operated coffee machine, hot and cold drinks Voltage: 220V/50Hz Heating power: 1800W Compressor power: 112W Specification: 430 x 590 x 1450mm Weight: 22KG Water capacity: 6L (Can be connected to an external water tank) Double chip capacity: 1.6L Hot and cold switching function: YES The voice prompt function: YES Inquiry function: YES The raw material box number: 4 Total capacity: 2KG Display: LCD / press the 7 high-brightness light-emitting diode Built-in cup: double cup (about 120) F503 type automatic coin-operated coffee machine, hot and cold drinks Voltage: 220V/50Hz Heating power: 1800W Compressor power: 112W Specification: 430 x 590 x 1450mm Weight: 22KG Water capacity: 6L (Can be connected to an external water tank) Double chip capacity: 1.6L Hot and cold switching function: YES The voice prompt function: YES Inquiry function: YES The raw material box number: 4 Total capacity: 2KG Display: LCD / press the 7 high-brightness light-emitting diode Built-in cup: double cup (about 120) YJ-806 type automatic coin-operated coffee machine, hot and cold drinks Voltage: 220V/50Hz Display: 15/17 inch high-definition LCD screen Control board: military-level CPU control, timer switch machine Power: hot 900W cold 120W Specification: 600 x 560 x 1700mm Weight: 50Kg Tank capacity: 8L The hot water tank capacity: 3L The cold water tank capacity: 5L Raw material bucket capacity: four barrel, a variety of 1000Kg Thermal conversion: conversion through the function button panel Tip: voice prompts, advertising music playback function The query function: query selling drinks cup number The number of cups: double cup, about 120 Cup size: Phi 73-74mm 6.5 ounce and 9 ounce shared Method of payment: standard coin coin, IC card reader (can add notes coin device) YJ-802 type automatic coin-operated coffee machine, hot and cold drinks Voltage: 220V/50Hz Display: 15/17 inch high-definition LCD screen Control board: military-level CPU control, timer switch machine Power: hot 900W cold 120W Specification: 600 x 560 x 1700mm Weight: 50Kg Tank capacity: 8L The hot water tank capacity: 3L The cold water tank capacity: 5L Raw material bucket capacity: four barrel, a variety of 1000Kg Thermal conversion: conversion through the function button panel Tip: voice prompts, advertising music playback function The query function: query selling drinks cup number The number of cups: double cup, about 120 Cup size: Phi 73-74mm 6.5 ounce and 9 ounce shared Method of payment: standard coin coin, IC card reader (can add notes coin device) . No more limitation of high prices and limited coffee taste from branded coffee suppliers. Our capsules and capsule filling solutions are the &ldquo;bridge&rdquo; between millions of coffee lovers and excellent coffee roasters. Our capsules and capsule filling solutions are the &ldquo;bridge&rdquo; between millions of coffee lovers and excellent coffee roasters. 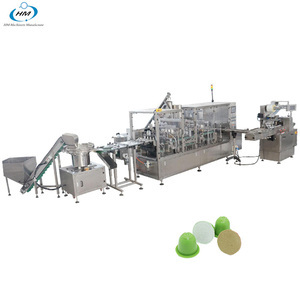 If it is big machine or production line machine it will be loaded in the container directly . We will tell you the shipping time and arriving time . 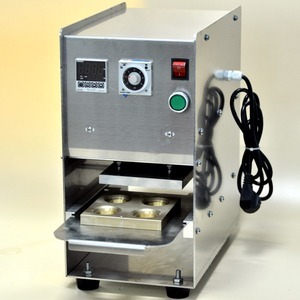 Service on sale We are confident that we sell our machines to customers at low prices and activated. 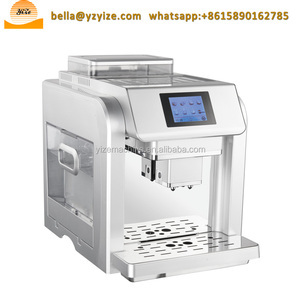 coin operated nespresso coffee capsules dispenser f613-487 F613 type automatic coin-operated coffee machine, hot and cold drinks Voltage: 220V/50Hz Heating power: 1800W Compressor power: 112W Specification: 430 x 590 x 1450mm Weight: 22KG Water capacity: 6L (Can be connected to an external water tank) Double chip capacity: 1.6L Hot and cold switching function: YES The voice prompt function: YES Inquiry function: YES The raw material box number: 4 Total capacity: 2KG Display: LCD / press the 7 high-brightness light-emitting diode Built-in cup: double cup (about 120) F503 type automatic coin-operated coffee machine, hot and cold drinks Voltage: 220V/50Hz Heating power: 1800W Compressor power: 112W Specification: 430 x 590 x 1450mm Weight: 22KG Water capacity: 6L (Can be connected to an external water tank) Double chip capacity: 1.6L Hot and cold switching function: YES The voice prompt function: YES Inquiry function: YES The raw material box number: 4 Total capacity: 2KG Display: LCD / press the 7 high-brightness light-emitting diode Built-in cup: double cup (about 120) YJ-806 type automatic coin-operated coffee machine, hot and cold drinks Voltage: 220V/50Hz Display: 15/17 inch high-definition LCD screen Control board: military-level CPU control, timer switch machine Power: hot 900W cold 120W Specification: 600 x 560 x 1700mm Weight: 50Kg Tank capacity: 8L The hot water tank capacity: 3L The cold water tank capacity: 5L Raw material bucket capacity: four barrel, a variety of 1000Kg Thermal conversion: conversion through the function button panel Tip: voice prompts, advertising music playback function The query function: query selling drinks cup number The number of cups: double cup, about 120 Cup size: Phi 73-74mm 6.5 ounce and 9 ounce shared Method of payment: standard coin coin, IC card reader (can add notes coin device) YJ-802 type automatic coin-operated coffee machine, hot and cold drinks Voltage: 220V/50Hz Display: 15/17 inch high-definition LCD screen Control board: military-level CPU control, timer switch machine Power: hot 900W cold 120W Specification: 600 x 560 x 1700mm Weight: 50Kg Tank capacity: 8L The hot water tank capacity: 3L The cold water tank capacity: 5L Raw material bucket capacity: four barrel, a variety of 1000Kg Thermal conversion: conversion through the function button panel Tip: voice prompts, advertising music playback function The query function: query selling drinks cup number The number of cups: double cup, about 120 Cup size: Phi 73-74mm 6.5 ounce and 9 ounce shared Method of payment: standard coin coin, IC card reader (can add notes coin device) . 45 days for 1x40' after 30% deposit received and details confirmed. 2) Sample payment refundable9 Yes, sample payment will be refunded as soon as order confirmed. 6) How about the delivery time9 Usually 45days after deposit received and order related details confirmed. 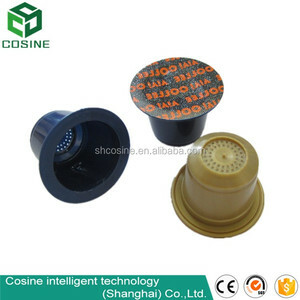 Alibaba.com offers 166 nespresso coffee capsule for coffee vending machine products. 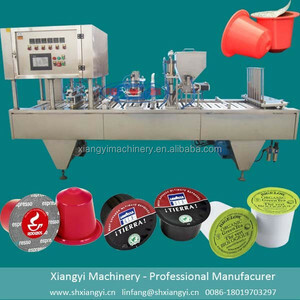 About 2% of these are filling machines, 1% are coffee & tea tools, and 1% are empty capsules. A wide variety of nespresso coffee capsule for coffee vending machine options are available to you, such as free samples. 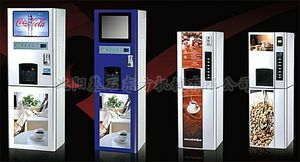 There are 86 nespresso coffee capsule for coffee vending machine suppliers, mainly located in Asia. 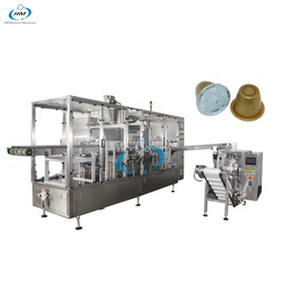 The top supplying country is China (Mainland), which supply 100% of nespresso coffee capsule for coffee vending machine respectively. 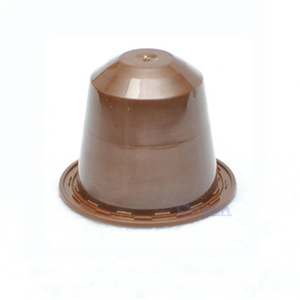 Nespresso coffee capsule for coffee vending machine products are most popular in Western Europe, Northern Europe, and Southern Europe. You can ensure product safety by selecting from certified suppliers, including 30 with ISO9001, 1 with Other certification.